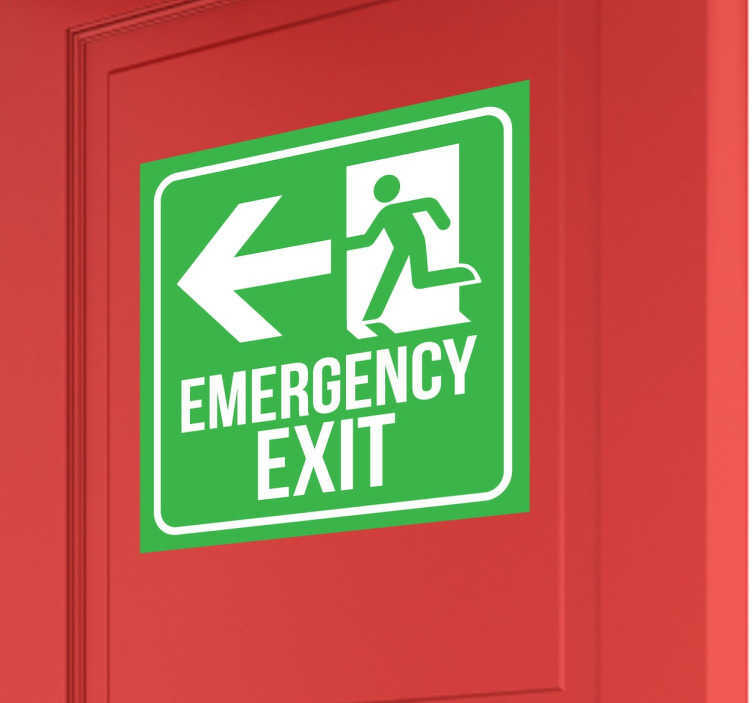 A fantastic emergency exit sticker to place in any building to make sure that in case of a fire everyone knows where the emergency exit is. If you own your own business and need a sign that will be clear for everyone to see then you have found the ideal decal for your place. As soon as the fire alarm goes off it will be easy for the people inside the building to leave using the emergency exit. Avoid buying cheap signs that will wear out and that could cause confusion when the fire alarm goes. This sign decal is perfect because it is very resistant! Make sure your clients or guests are able to follow the fire emergency evacuation plan with this exit decal. This fire exit sign is available in different sizes. It is easy to apply and leaves no residue upon removal.